Nice little par 3 to begin but very testing. 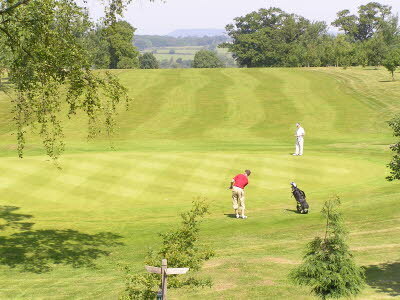 Not a full shot but the green needs to be hit or the well placed bunkers front, back and side will catch you out. 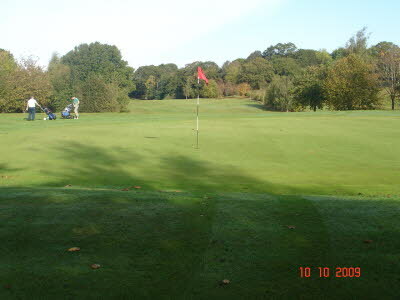 Straight forward par 4 with out of bounds all down the left hand side. 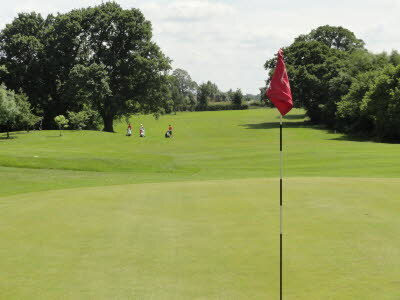 A nicely hit tee shot will leave you a mid range shot in – but beware any shot left of the green will run away into the ditch. 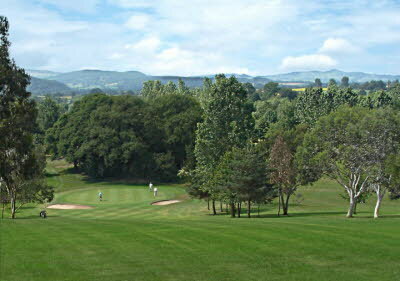 The second par 3 of the course with fantastic views of the holes to come. From an elevated tee any shot finding the green is good with bunkers front, left and right to catch any mishit. 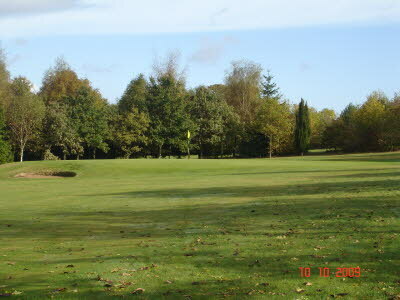 Dogleg right par 4 with large coppice catching any sliced tee shot. 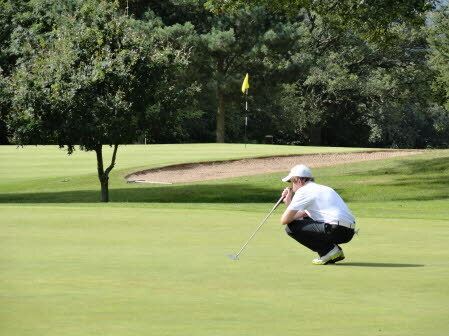 Stay left from the tee to open up the green for your second shot. Arguably the toughest hole on the course. This needs a straight tee shot with danger both right and left, leaving an uphill second with the danger of the ball rolling back down to you if not executed properly. Net par always a good score. Another testing par 4 from an elevated tee. 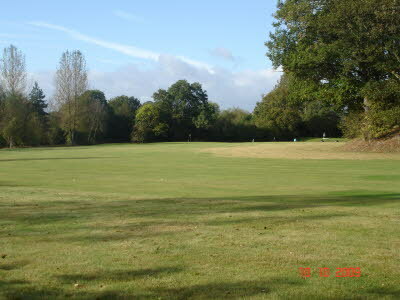 A long tee shot over a coppice up the right hand side gives a good line into the green free from any over hanging trees to a small shallow green. This is the first par 5 on the course. With a blind tee shot that needs to be hit short of a pool. Your second shot is into a fairway that runs from right to left up the hill leaving a tricky little shot into an elevated green with a nasty little pot bunker front left. A blind par 3 uphill playing longer tha it looks. Out of bounds looming for too long a tee shot. Net par a good score for this hole. Straight forward par 4 with out of bounds on the left. Avoid the fairway bunker from the tee and the hidden bunker to the right of the green. A good, well struck tee shot is required here on this tough start to the back 9. Trees and a hedge will catch any sliced or pushed shot. A slightly downhill second to the green with bunkers short left and right. 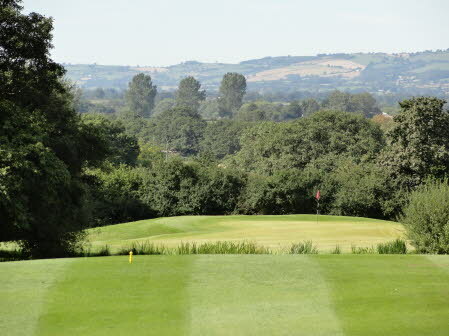 Uphill from the tee the hole dog legs slightly to the right with a long second even for the longest hitters to a sunken green that slopes away front to back making it difficult to hold in the summer months. 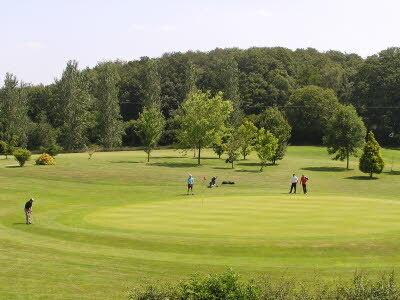 The second and last of the par 5’s where a good tee shot can leave you an opportunity to try and make birdie although the long narrow green is heavily guarded with bunkers left and right. 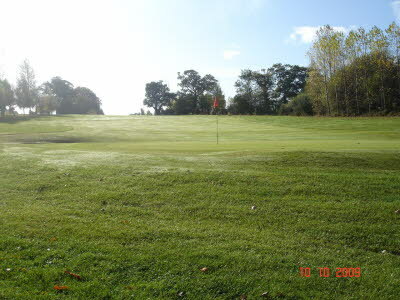 With the fairway sloping left to right and out of bounds on the right a well positioned tee shot to the left hand side of the fairway will open up this tricky green that slopes left to right with a deep bunker short right of the green. Stroke index 1. 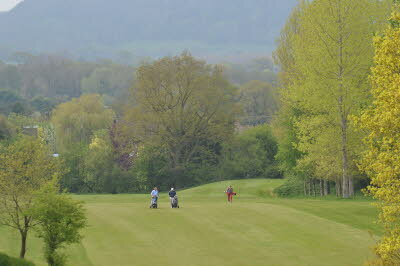 Uphill with a narrow entrance to the fairway with out of bounds all the way up the right hand side. 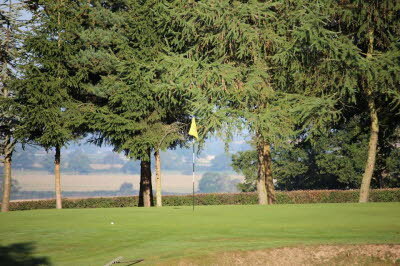 Place your ball left of the fairway to give you the best shot in to this narrow entrance to the green with bunkers left and right. From an elevated tee down into a dip, the longer the drive the narrower it gets with out of bounds on the left and trees line the right of the fairway. 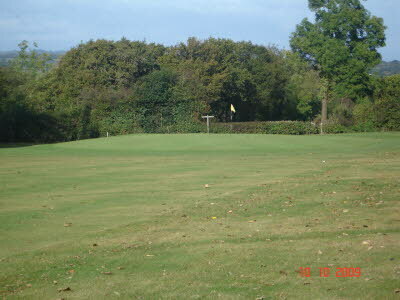 A blind second shot to the elevated green plays longer than it looks but there are no bunkers or other hidden dangers. 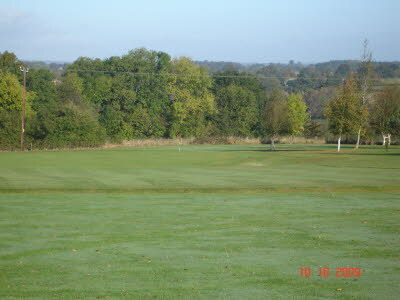 Long hitters may fancy a go at the green here. With a slight dogleg to the left take on the corner avoiding the fairway bunkers on the right to set up your birdie chance. Be wary of the pool to the left and behind the green. 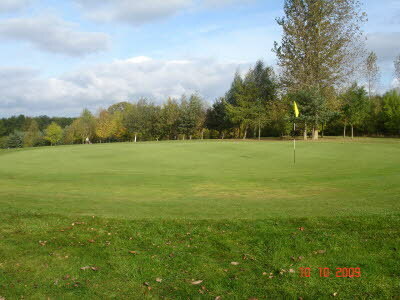 This fantastic par 3 has everything, a pond at the front, out of bounds left, trees right. 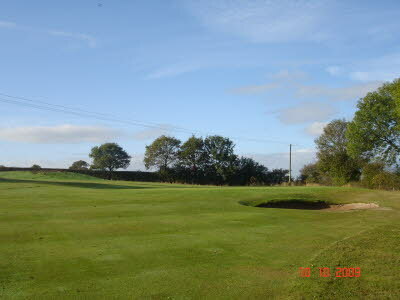 a two tier green with severe slopes and a bunker that makes it very difficult to get up and down. A net bogey is still a good score here. 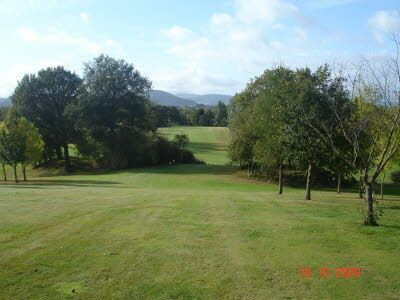 The last hole, a par 4 with an easy lay up from the tee to the road side. The second shot is where it gets interesting! Uphill, over water and a horribly positioned silver birch tree right in front of the green. 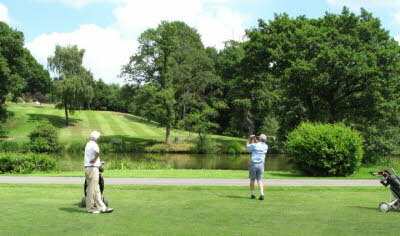 Make sure you take enough club or you could find your ball hitting the tree or rolling back down the hill into the water. – A real card wrecker of a hole!